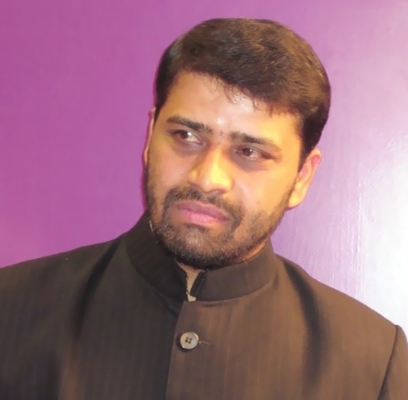 Dr.Naveen is from the first batch of qualified Naturopaths of India having completed under graduation from Mangalore University. He was a consistent topper and blessed with a intriguing mind which was focussed on going into the depths of the science of human physiology. He pursued his passion by joining SVYASA (Swami Vivekananda Yoga Anusandhana Samsthana), Bangalore, India’s foremost Yoga Research Institute, where he conducted innovative research on the effect of Yoga on infectious as well as lifestyle diseases. He was chosen as a Fullbright scholar, a rare distinction for any research fellow. As a Fullbright fellow he carried out path breaking research on neuroscience behind meditation. He is presently pursuing the mysteries of meditation in the serene highlands of Ladakh. Here, he guides a monastery in wellness and also pursues his personal evolution. At Bangalore his centre, FAITHS, offers Canadian spine decompression therapy, acupuncture, Yoga and guidance on leading life in a balanced way – in tune with nature; both inside and out. We find out more about his mission. What are the evidence-based wellness modalities? 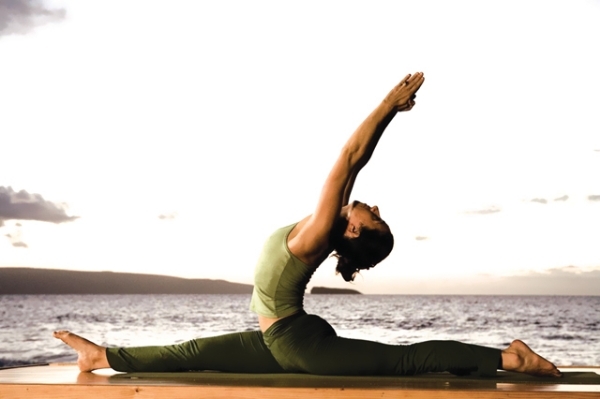 Most commonly used modalities such as Hydrotherapy; Massage therapy; Yoga; Aroma therapy; Acupressure too has considerable research evidence in the prevention and management of lifestyle diseases. Which of the evidence based therapies are most widely used in India and why? Panchakarma based Massage therapy. 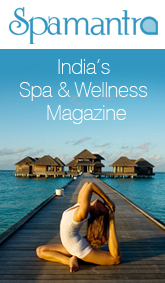 This is due to the fact that India is a home for Ayurvedic Panchakarma. Unfortunately, most wellness centers, spas, health clubs, and resorts are NOT aware of the prevailing evidence for the therapies that they use. In other words, they use the therapies as a traditional practice as opposed to evidence based practice. This needs to change where evidence should meet the tradition. Which of the institutions are researching these modalities in India? There are very few-some of the significant ones are; SVYASA Yoga University, Bengaluru; Patanjali Research Foundation, Haridwar and our own foundation-Foundation for Assessment & Integration of Traditional Health Systems [FAITHS], Bengaluru. Where can spas access latest information on these evidence based modalities? Unfortunately, in India, as yet, we don’t have institutionalized training to incorporate research evidence into clinical and wellness practices. In the near future, we wish to fill this gap. Meanwhile, there is a database called PUBMED [http://www.ncbi.nlm.nih.gov/pubmed] from National Institute of Health [NIH], USA, which has over 35,000 medical journals indexed and this portal, provides free abstracts of the research journals. This is a very easy-to-use-one- stop evidence search engine for medicine including traditional medicine. How can these therapies be effectively combined with spa therapies? Most evidence-based therapies are being used in spas. But, the much needed transformation has to happen with regard to purpose-methods-evidence driven practice. For instance; massage is used as one of the general wellness modalities whereas, therapeutic massage is a goal oriented-specific method which is clinical monitored; yoga is being offered as ‘one-size-fit-for-all’ wellness strategy-this needs to be changed as ‘evidence based disease-specific yoga therapy prescribed by a Yoga & Naturopathy physician & offered by a trained therapist as opposed to a trained instructor. Newer modalities like acupuncture, world’s most tested-proven non-pharmacological pain management strategy needs to be incorporated; neutraceuticals are becoming essential part of wellness & healing should also be evidence based. The pure herbs and nutritional supplements can also be evidence driven and disease specific; Ayurvedic pure herbs have large body of evidence, which is waiting to be integrated for wellness & healing. In summary; wellness centers, can expand their reach from wellness strategies to healing strategies. Each one of us would have stress & lifestyle issues, which needs lifestyle medicine as a prescription rather than as a choice for a self-motivated health & wellness seeker. How can spas and research institutes work together to encourage more research? Like any health center, spas would have people availing the spa services for their wellness needs. These people would either have risk factors or at least one clinically diagnosed lifestyle/stress – related disease. By transforming ‘self-chosen wellness services into prescribed healing services’, these diseases either can be prevented or well managed. Thus, each person can be a part of the cohort [a section of population] adopting healing strategies who can be compared to those age-matched individuals not adopting similar lifestyle strategies. This kind of a study demonstrates ‘protective effect’ of healing/wellness strategies. Is there anything like spa medicine? Yes, it is an evolving discipline where, spas, which have expanded their services from wellness to healing, call their services as ‘Spa Medicine’. The key difference here is a person is no longer can choose wellness services instead it should always be prescribed based on certain assessments viz., personality; ayurvedic doshas [qualities of human tissues] and yoga based gunas [qualities of human mind]. Which of the institutes are offering these courses? As of now, there are NO University recognized courses in Spa Medicine. 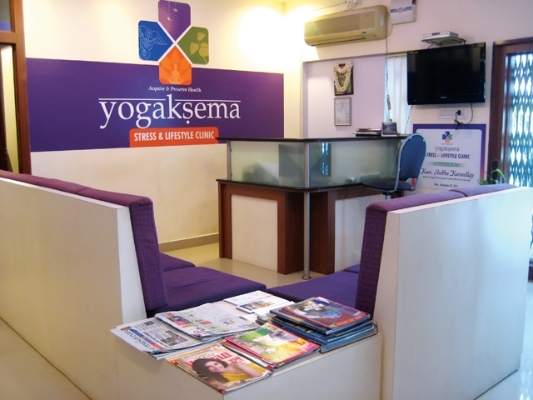 However, Kaivalyadhama [a reputed yoga institute], Lonavla offers spa management course recognized by Mumbai University to trains therapists for spa medicine. What are the challenges faced to popularize evidence based Spa Therapies? In fact, there are NO challenges in converting Spa into Centers of Spa Medicine. Everyone who chooses to use Spa are self-educated; motivated health seekers. These individuals are NOW ready for value addition and evolution in wellness services which caters to their Stress & Lifestyle needs which is more a clinical advice than ‘hit & miss; trial & error’ self exploration. 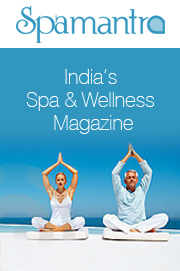 Hence, the best way to popularize Spa Medicine is to focus on ‘Stress & Lifestyle’ for all ages. How can offering these therapies be done in a way that is not seen as clinical? Preventing and managing lifestyle/stress-related disease is all about good quality self care. This is referred to as ‘Patient centric medicine/participatory medicine/personalized medicine/preventive medicine/promotive medicine. 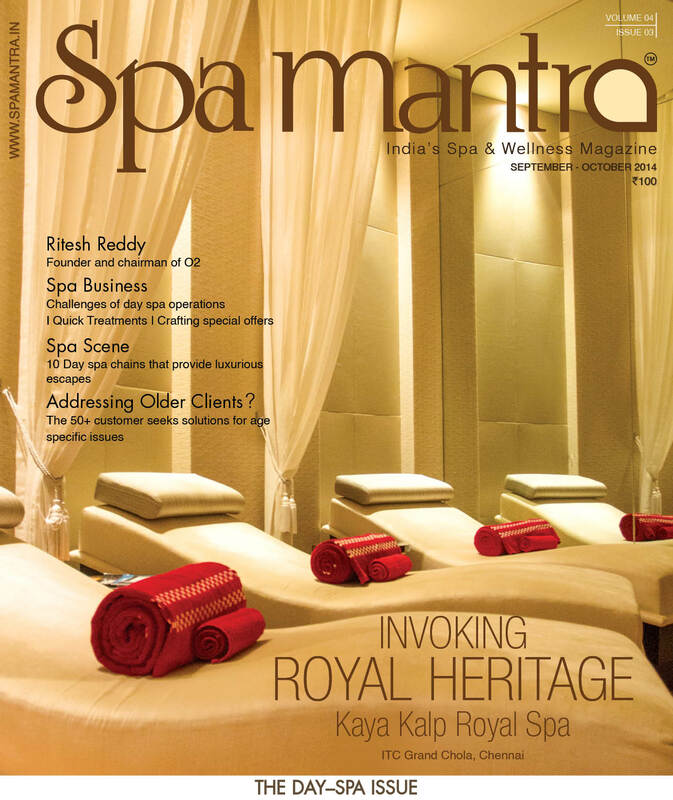 Hence, medical community is endorsing spa setting for lifestyle medicine and medical rehabilitation. The challenges are three fold: (i) Trained physicians in evidence based Spa Medicine; (ii) Trained therapists in healing strategies [massage-to-massage therapy] and (iii) effective communication with patients about the relevance of targeted healing strategies over untargeted wellness strategies. What does FAITHS do to promote adoption of evidence based wellness modalities? As the name goes FAITHS, Assessment & Integration are our key goals. Assessment training is meant for traditional medicine professionals & spa professionals whereas Integration methods are targeted for conventional medical community who can get started with the prevailing evidence for traditional medicine. FAITHS offers; workshops on (i) research methods and (ii) evidence based traditional medicine for traditional medicine professionals and evidence based integrative medicine for conventional medicine professionals. 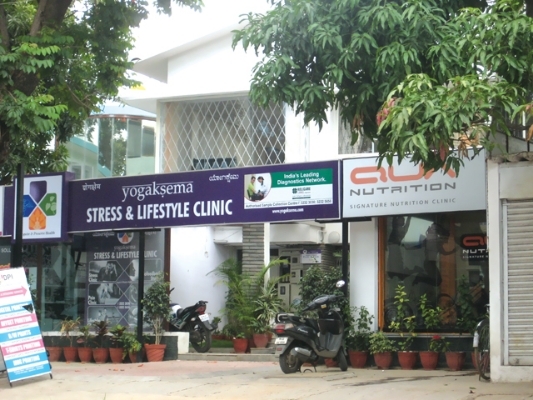 In addition, FAITHS has conceived & established country’s first prototype clinic called ‘Yogaksema-Stress & Lifestyle Clinic’ at up-scale locality of Bangalore called Indiranagar. Most memorable moment: My time in Ladakh-where meditation happens! Most forgettable moment: Those episodes in early nineties – where we had to explain people that there is a career in Yoga & Naturopathy! If you were not in this field, what would you be? A police man or a politician! Aug 28, 2013 8:34 am 0 Comments.